With Cyanogen announcing its partnership with Qualcomm, the company now has a new brand identity as well. 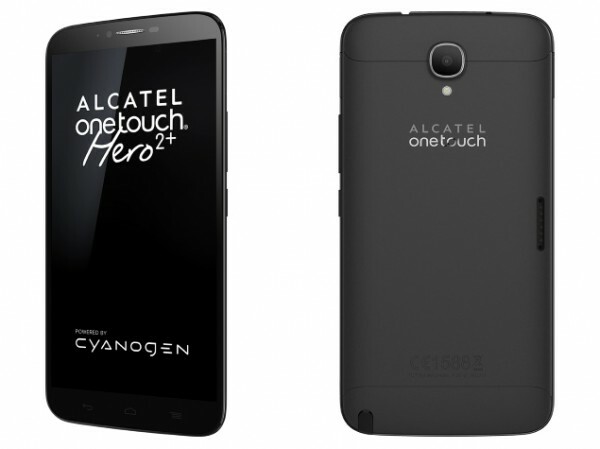 Alcatel’s latest Hero 2+ is the same as the original Hero 2, except that it will have Cyanogen’s latest Kitkat-based operating system. It isn’t the first device to run on Cyanogen OS as it can also be found on several other devices like the Oppo N1, One Plus One as well as Micromax devices in India. Users should also know that the Hero 2+ keeps the stylus and it features in the Cyanogen OS variation. Falling into the phablet category, the phone features a 6-inch 1080p TFT display with the processing power of a 2GHz octa-core Cortex-A7 Mediatek MT8392 CPU and 2GB of RAM. The phone has a 13MP camera on the rear with a 5MP camera on the front for those selfie shots. As for storage, it has an internal storage capacity of 16GB and it can be expanded via microSD, with support of up to 32GB. To power the device, it has a generous 3,100mAh battery under the hood. The phone will arrive in the US during Spring of 2015 (Q2) and the price tag is set to be at $299 (about RM1084). With the new partnership between Alcatel and Cyanogen, let’s see if the smartphone will be officially released in Malaysia.